Nature’s Sunshine Kidney Activator TCM Concentrate is a highly concentrated blend of 16 herbs formulated to aid the urinary and lymphatic systems. 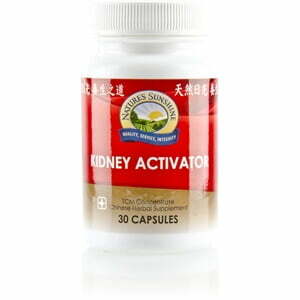 Kidney Activator TCM promotes kidney function, along with helping to clear the body of retained water. Instructions: Take one or two capsules with a meal daily. For best results use with Combination Potassium. 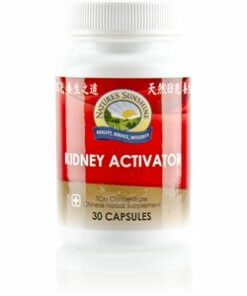 Each capsule is equivalent to 7 capsules of regular Chinese Kidney Activator combination. TCM denotes Traditional Chinese Medicine.